In terms of food, eggs and avocados are two of my favaorite things. So this easy, healthy avocado egg salad recipe that takes avocado toast to a whole new level, was my kind of thing. I confess, I break the dietary cardinal rule on a regular basis, I do not eat breakfast everyday. But when I do, this is my preferred breakfast menu option. The protein in the eggs and yogurt and the healthy fats in the avocado make this a super power breakfast and will keep me full for several hours. The lemon juice adds just enough of a zest to keep this interesting too. If anyone cares to share, I would be interested in their favorite breakfast menu ideas. Sometimes it is hard to keep up a healthy eating diet plan and keep the menu interesting. 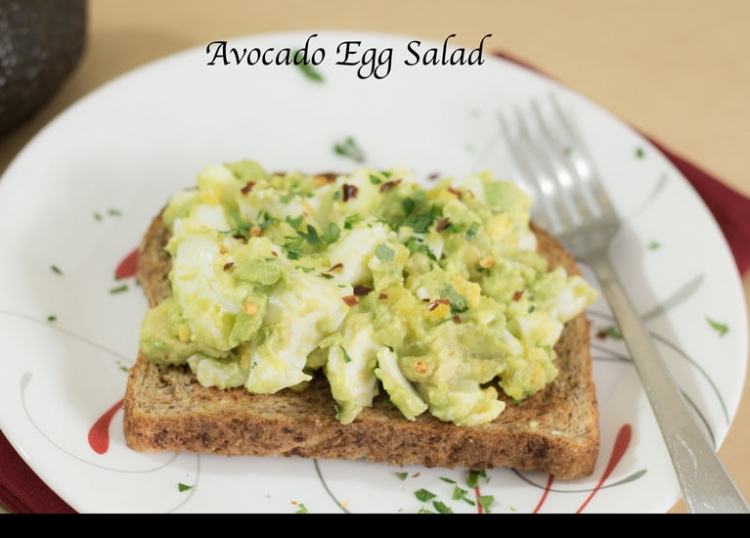 So this avocado egg salad recipe has become my go to breakfast recipe, while avocado stocks last. Which I am sure we have all heard the latest drama crisis that implies the human desire for avocado’s are likely to make them extinct. My solution was to grow my own indoor avocado tree. If your interested in helping the environment by growing your own avocado tree this is a great how to on getting that started. 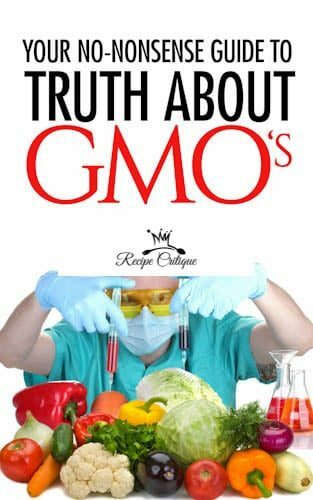 In a medium-sized bowl mash avocado, lemon juice and yogurt. Stir in the eggs, green onion and dill. Season with the salt and pepper to taste. 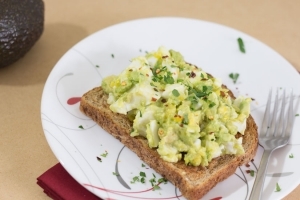 Please try this avocado egg salad recipe and let us know your thoughts. I hope you enjoy this recipe as much as we do.